Friday Focus: Serving against the Ropes. Have you ever watched the Rocky series? It depicts the story of a common man who stumbles upon an uncommon opportunity. He was never really a professional fighter, he was a brawler who attempted the sport. However, as the movie continues he lands an exhibition bout against the world champion Apollo Creed. You see, to the world it was just an exhibition (an event solely for entertainment), to Rocky it was a chance to fight for the title and a new life. Rocky was not training for entertainment he was training to win. If we parallel this to our relationship with Jesus. How would you train? Would you map and plan out your strategy? Or would you go with what seems fun and easy? As a minister sometimes you can feel alone in ministry. These feelings are perfectly normal. Think about this : You are a human trying you’re best to be the hands and feet of God, yeah there’s a little pressure there, I’m sure he states in His word that he will help us with our burdens if we give them to Him. It’s ok, to sit down and rest with The Lord. You need that. God wants that. Think about that friend, God wants to shoulder our burdens. In ministry, at work, or at home. God wants to share the load. I bring this out because you are not alone . He will be with you until the end of the age Realize this in your calling whether you are a pastor or one who serves your pastor The Lord is with you in your service to the body. He will help you by the Holy Spirit if you allow him to lead in your ministry. Pastor take joy in the fact that The Lord is with you to encourage you when you need to take another call. Rejoice In the knowledge of being taught by the master Shepherd, he puts the extra in extraordinary. When we serve the men and women of God we will be drained and in these times we cam draw on The Lord in worship. Do you worship The Lord with a song? I think you should, it is through our submission to Him that he strengthens us…. Now that we are spiritually settled we cam move to the practical. Three things stop us from continuing in our ministry. 1. Lack of empathy, we become desensitized toward others feelings and hurts. This puts us on the ropes due in part we have lost our compassion, and with passion lost no action will take place. 2. Lack of knowledge. Our training or lack there of could keep us benched for many reasons. We refuse to develop as a leader and as a result, immaturity can set in like an infection to which bitterness, strife, and backbiting may result. Its bad news and not ever to be toyed with. So get to school or ask of some one who is affluent in that particular area. You’ll gain a friend. 3. Lack of motivation, here is where mundane activities coupled with technical knowledge give birth to complacency. Do you remember the state you were in when You asked Jesus to be The Lord and Savior of your life? I know i was a mess. But he came in my life willingly. it hasn’t been easy since I started following after Him. Jesus has renewed who I am and I thankful for it. Do you remember when he held you? Now, take it to others, run friend, run to be the light where your impacting. 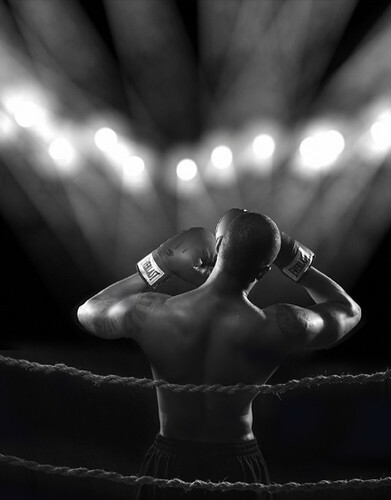 Ministers, armor bearers, when you are against the ropes remember what The Lord whispered to you in the quiet place. Remember to do it all for the glory of God. You are healed to heal others.